A few months back we looked at the Nissan Altima, now we are switching gears to check out the Sentra. 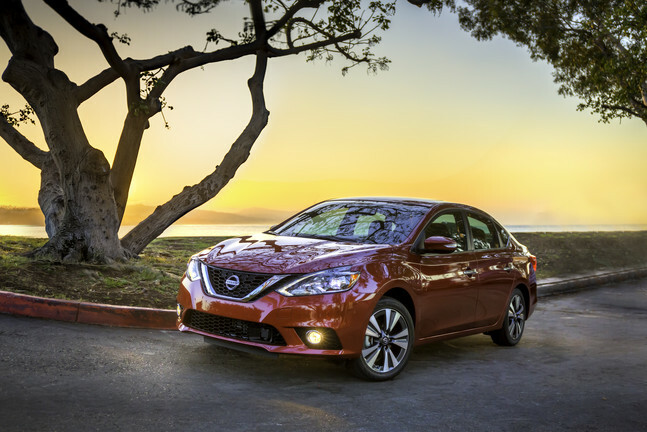 At the Los Angeles Car Show Nissan showcased the 2016 Sentra. There are have some modifications and new designs for the new model. After 30 years on the road and more than 4 million Sentra models sold in the United States alone, the 2016 Sentra seeks to keep the momentum of Nissan’s compact sedan going with a significantly refreshed design. The exciting exterior changes reflect Nissan’s new design language, bringing the elegant and refined look of the Sentra closer to the bold redesigned 2016 Maxima and Altima. A new front fascia, grille, fenders, hood and signature boomerang-shaped headlights help to create this look. The roomy interior will have a number of fresh features ranging from a new steering wheel to a new center cluster and audio display design. The 2016 Sentra will also be the most connected ever, offering technology options like Siri Eyes Free Voice Recognition and NissanConnectSM Services powered by SiriusXM for the first time. NissanConnectSM offers emergency preparedness, remote access, customizable alerts and concierge services. In addition to the 2016 Sentra, Nissan is launching the JUKE “Stinger Edition by Color Studio” in LA. After successfully introducing the “Color Studio” program with JUKE last year, Nissan is now offering two limited production JUKE SV models – the Black Stinger Edition by Color Studio and Yellow Stinger Edition by Color Studio. These bring together two of the most popular colors – yellow and black – with the most frequently ordered accessories from Color Studio. Both models will be available beginning in January 2016. Are You A Diehard College Sports Fan? For some college football is the be all and end all. They will make sure that they are near a TV when their team is playing. As technology improves we are able to watch games on our tablet or smartphone. So before you start streaming the next college football game download the Diehard app. With the app you will be able to choose your college team and favorite design, instantly ‘paint’ on your game face, and share with a picture or video. It’s easy, completely lifelike, and moves as naturally as you do in real time. The app is brought to you by Nissan, which is a proud supporter of NCAA Football. So you can pull a David Puddy and support the team without actually painting your face. 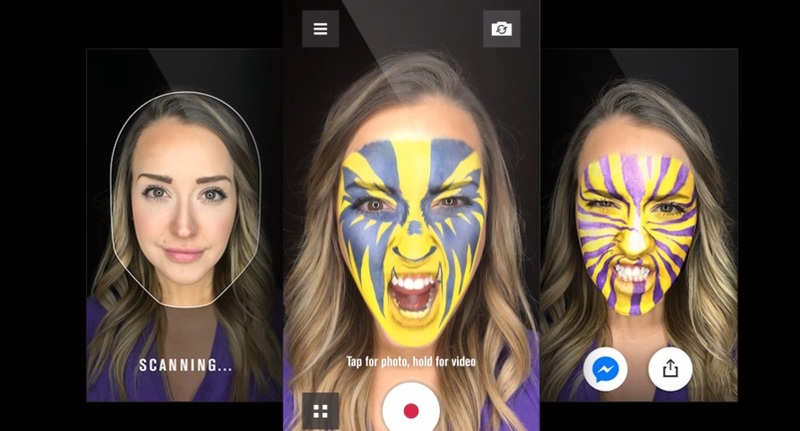 The app lets you choose from authentic face paint designs in a variety of colors and you can share with friends via Vine, Instagram, Twitter, YouTube, Vimeo, Tumblr, Facebook and E-mail. Plus you can share directly via Facebook Messenger and save your videos and photos to your personal gallery. You can even check out celebrity game faces in the Hall of Fame. For more info and to download the app go to the Diehard Fan’ App page. Are you looking for something new and fun? 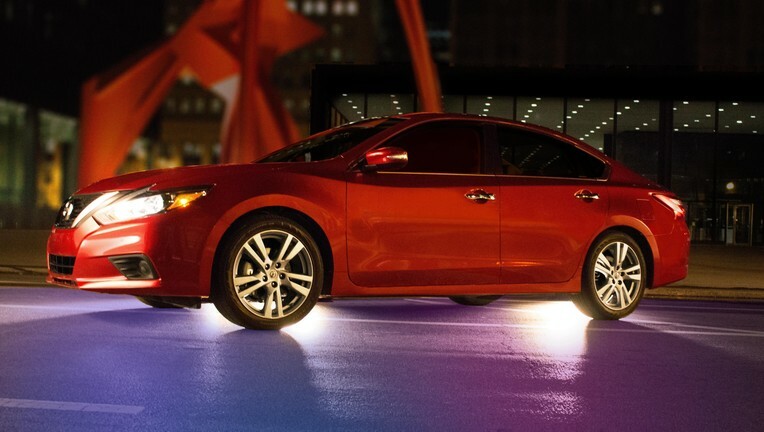 If you are a fan of social media and the latest and greatest in car innovations the new 2016 Nissan Altima has a challenge just for you. Nissan is challenging its social media fans to prove that they are on the Altima’s level. They created the Nissan ALT16 Challenge. It is a series of video tests to be published on Facebook, Twitter and Instagram. 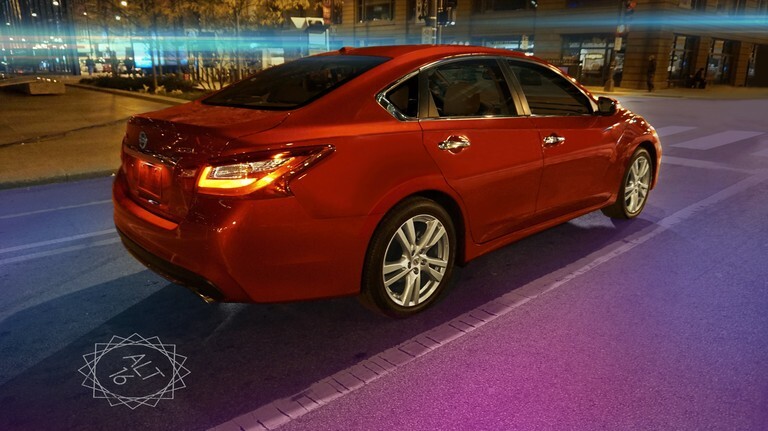 You must watch closely to capture screenshots and answer questions about the footage, which features the Altima in the midst of flashing lights, reflective glass, fast-moving street scenes and other eye-catching elements. 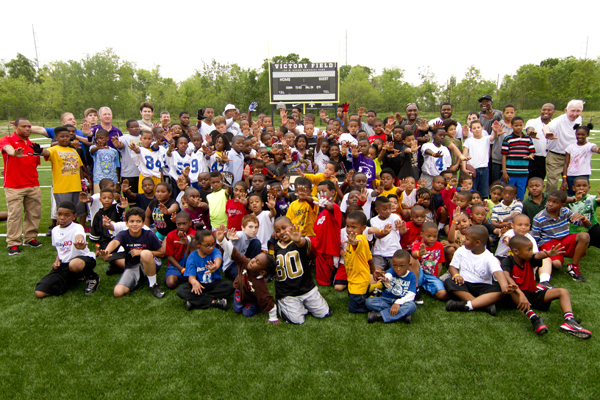 Participating fans will have a chance to win one of 10 $500 cash gift cards. The contest, which will be codenamed using the hashtag #ALT16Contest across social media, is running now through 11:59 p.m. ET on Monday, November 16. Altima, Nissan’s best-selling vehicle in North America, has been redesigned for the 2016 model year, including new exterior and interior styling, enhanced technology and connectivity, a new Altima SR sports model and new available safety features such as segment-exclusive Predictive Forward Collision Warning (PFCW). In addition, highway fuel economy has been increased to a best-in-class 39 miles-per-gallon for Altima 2.5-liter engine models (except 2.5 SR). The new 2016 Nissan Altima is scheduled to go on sale at Nissan dealers nationwide on November 11 with a starting MSRP of $22,500 USD. What If Heisman Trophy Winners Started Getting Real? This is the true story of seven strangers…..no make that 14 Heisman Trophy winners picked to live in a house, work together and have their lives taped, to find out what happens when people stop being polite… and start getting real. For those remember the early years of MTV’s Real World that was intro from their show. 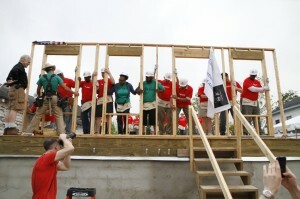 Now Nissan is doing something similar. 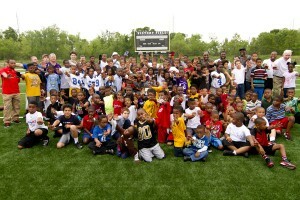 They put 14 Heisman Trophy legends under the same roof. 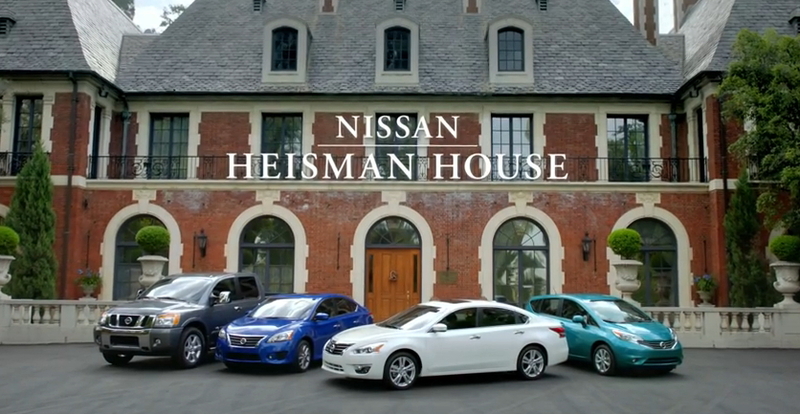 The start of the 2015 season means it’s time for us to once again check in on roommates of the Nissan Heisman House! 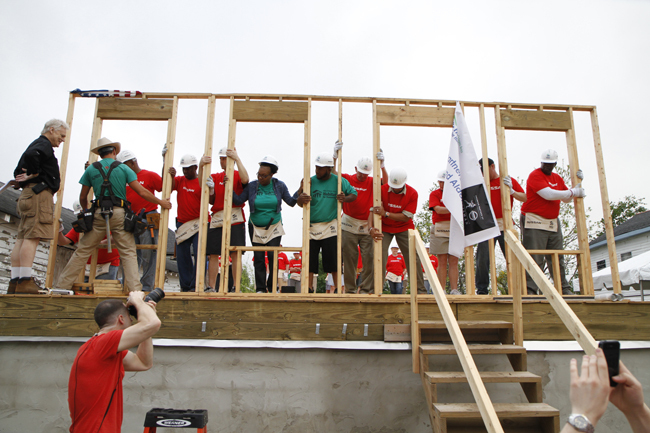 The Heisman House campaign, which supports Nissan’s long-standing partnership with the Heisman Trophy Trust, is now entering its fifth season. This year’s spots introduce a few newcomers including Steve Spurrier, Jim Plunkett and 2014 Heisman Trophy Winner Marcus Mariota. Other Heisman winners appearing in the campaign include returning members Robert Griffin III, Johnny Manziel, Sam Bradford, Tony Dorsett, Eddie George, George Rogers, Troy Smith, Roger Staubach, Vinny Testaverde, Herschel Walker and Charles Woodson. Here are two spots from the upcoming season. Enjoy! Nissan today unveiled two exciting new executions of its “Innovation that Excites” philosophy at a press conference at the 2015 Chicago Auto Show – the Nissan 370Z NISMO Roadster Concept and the GT-R LM NISMO race car. The Nissan 370Z NISMO Roadster Concept is designed to provide the best of two worlds – the open-air driving exhilaration of a standard 370Z Roadster and the racing-inspired style and performance of a 370Z NISMO Coupe. It offers unique engine, suspension, exterior and interior features versus standard Nissan 370Z Roadster models – including a 350-horsepower 3.7-liter V6 and NISMO-tuned suspension. 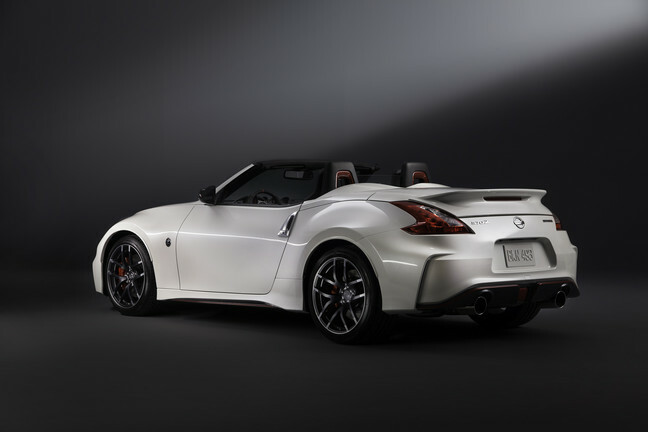 The 370Z NISMO Roadster Concept would join the current Nissan 370Z NISMO coupe model, expanding the NISMO lineup to five models, if approved for production. The GT-R LM NISMO, which will take on the best in the world in the race to glory at the Le Mans 24 Hours later this summer, was created by a team of carefully selected experts in Japan, the United States and Europe. Unlike other LM P1 cars, the GT-R’s 3.0-liter twin-turbo V6 gasoline engine sits in the front of the front-wheel-drive car, while the hybrid power is harvested from the front driveline to augment acceleration. Design has long been a differentiator between Nissan and its competitors – along with performance, innovation and technology. 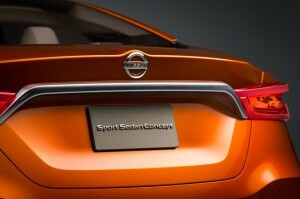 Now, as the company celebrates its 80th anniversary, it is doing so with the world debut of the Nissan Sport Sedan Concept at the 2014 North American International Auto Show in Detroit. The Sport Sedan Concept, a design study with a particular emphasis on next-generation design and sporty style, was created to embody the essence of a true sports sedan – that rare execution of 4-door sedan with the aura of a real sports car. It previews a future production vehicle intended for owners with a passion for cutting-edge design and driving dynamics. The Sport Sedan Concept joins a trio of advanced concepts that share signature design aspects that will be adapted to all future Nissans. 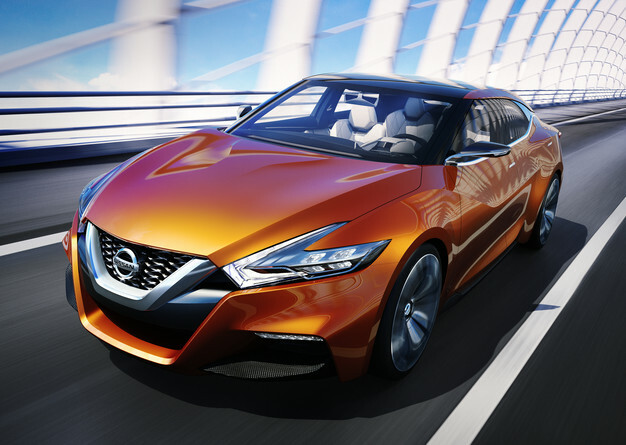 Along with the Nissan Resonance and Friend-ME concepts that were introduced in 2013, the Sport Sedan Concept shares the new V-Motion front aspect, “floating” roof and boomerang-shaped headlights and taillights. As demonstrated by the three diverse concepts, these distinctive design cues will be incorporated into a range of body types from sedans to crossovers. The exterior of the Sport Sedan Concept is marked by low, wide proportions, with a lowered hoodline and reduced ground clearance compared to traditional sedans – elements that would be right at home in a sports car. The “V-Motion” movement of the front end flows from the dramatic chromed grille up through the hood. The front of the Sport Sedan Concept also incorporates the large LED boomerang headlights, a deeply scooped front fascia and wide, sloped windshield. The profile of the vehicle is equally powerful, with its dynamic bodyside lines adding a strong sculptural feel and connecting the wheels and tires – which are pushed out to the four corners. There is a projection of motion, even when the vehicle is standing still. The Sport Sedan Concept rides on custom 21-inch aluminum-alloy wheels mounted with low-profile 275/30R21 tires. The distinctive silhouette blends smoothly into the rear design, which is capped by the high deck, large chrome trunk accent and wide, deeply scooped rear fascia. As in the front, the boomerang rear combination lights accentuate the centered feeling and push outward to edges. The unique “floating” roof adds a sense of openness and lightness in contrast to traditional sedans’ heavy cabin appearance. The final exterior touch is the unique “Strad Amber” paint that was inspired by the craftsmanship and rich finish of noted classic violins – instruments capable of producing vibrant intensity at times and at other times a soft stillness. The elaborate candy color paint finish is achieved through application of an orange-amber topcoat over a base of gold paint, creating a distinctive depth and bespoke richness. 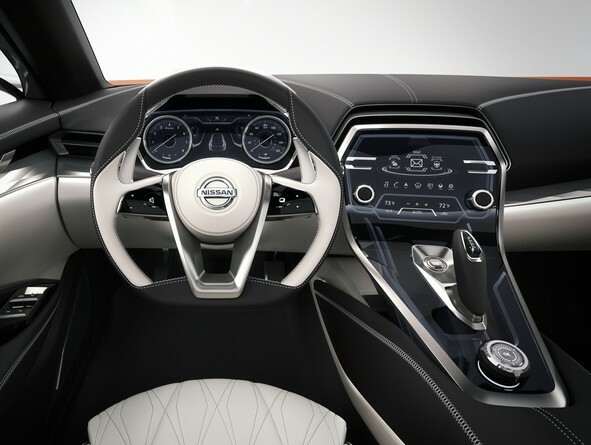 The Sport Sedan Concept’s interior also offers cues to future production designs. Premium materials are found throughout, with the use of diamond-shaped graphics on the quilted seats, stitching and panels enhancing the sense of dynamic motion. Rather than traditional flat surfacing, the diamond treatment adds three-dimensionality. The edgy and geometric look was inspired by modern furniture, apparel and accessories. The interior also features high-contrast colors and facet metallic accents. All these aspects finely express Nissan’s individual authenticity and modernity. The Nissan Sport Sedan Concept was created by Nissan Design America in San Diego, California and developed at the Nissan Global Design Center in Atsugi, Japan. On most days, Aldon Lightfoot works with fellow longshoremen to load and unload ships at the Port of New Orleans. 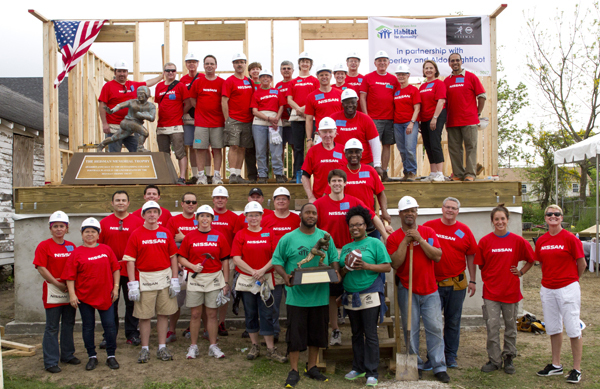 Earlier this week Lightfoot worked alongside seven members of an elite class of athletes, Heisman Memorial Trophy winners to build a Habitat home for his growing family. 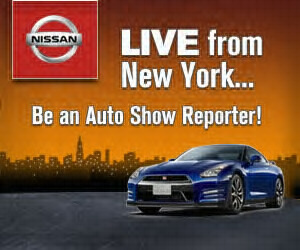 Nissan is currently running a contest on Facebook where one lucky entrant can win a trip to the New York International Auto Show to serve as an Auto Show Reporter. Flight, hotel, shuttle service and exclusive NYIAS credentials for the winner and a guest are all included in the trip. The contest runs through April 12. To enter the contest, you need to create a video (minimum 30 seconds, two minutes max) with you and your Nissan and share your thoughts on what’s innovative about the vehicle. In the video, you need to introduce yourself, your Nissan, tell everyone where you’re from and discuss the most innovative feature that you appreciate about your Nissan. The contest is open to anyone residing in the US who is 18 years or older. You need to be available to travel from April 19 to April 21. The videos will be judged on creativity, originality and appropriateness to the theme. The approximate retail value of the prize is $3,000. Visit the Nissan North American Facebook page to check out more details. Last month, we told you about Nissan and Sports Illustrated partnering up to put on the first ever Sports Illustrated Model Search. Eight models from around the world are competing in the search, and the winner will be featured in the 2012 Sports Illustrated Swimsuit Issue. You can vote for your favorite model by visiting the Sports Illustrated Model Search website. Voting ends tomorrow, so make sure you visit the site today and cast your vote for your favorite model. So how do you win the iPad giveaway? For the 2011 Sports Illustrated Swimsuit Issue, Nissan partnered up with SI to put on a model search contest that features eights gorgeous models from around the world competing for a spot in next year’s Swimsuit Issue. This is the first time that a guaranteed spot has ever been handed out, and you get to decide who gets it. From now till March 9, you can visit SI.com/ModelSearch and cast your vote for the most deserving model.